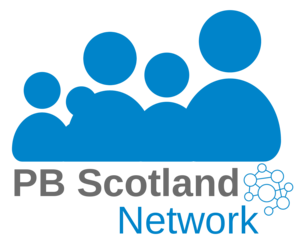 PB Scotland is featuring a series of updates from Scottish local authorities who have been supported to engage in PB activity by the Scottish Government. The Scottish Government is part-funding PB consultancy support delivered by PB Partners during 2015/16 to twenty local authorities across Scotland signed up for PB activity in their area. In the first of our series, Glasgow City Council describes the actions it has been taking around PB locally. Area Partnerships are a crucial part of the Community Planning structures in Glasgow. One of their primary roles is to provide opportunities for communities to engage with the local community planning process. They are also able to advise the three Sector Community Planning Partnerships on the setting of the priorities of the Sector Implementation plan and its investment strategy. It is recommended the Area Partnerships are the natural platform for community budgeting at a local level. To assist the 21 Area Partnerships in their role they are each allocated an Area Budget. These budgets are mainly used to provide grants to local community and voluntary organisations to provide services that will help to achieve the Council's objectives. Applications for funding are developed locally to meet identified needs and demonstrate how they benefit an area or community within the Partnership's boundary. Glasgow City Council (GCC) has agreed to develop a framework for the Integrated Grant Fund that includes an element of community budgeting. The Area Budget (£1.4 million) part of the Integrated Grant Fund was recently the subject of a consultation exercise and a report was submitted to GCC’s Executive Committee with a series of recommendations. It was agreed that a Glasgow approach to community budgeting should expand upon the existing approach to Area Budgets. Glasgow Life delivered a Holiday Programme community budgeting pilot during summer 2015 to engage children, young people and families in the development a new approach which brings together all of the different strands of activities to create an integrated holiday programme. This proposal concentrated on a neighbourhood cluster/hub that provides a good mix of community and leisure provision, physical infrastructure and hosts a range of partner and voluntary sector provision. This combination provided a reasonable platform for wider planning opportunities and a realistic grounding to inform future delivery. It is envisaged this will be rolled out during all school holidays in the Ruchill & Possilpark Thriving Places neighbourhood. Glasgow City Council’s Development & Regeneration Services Department, working with partners in the Ruchill/Possilpark Thriving Places Group, are developing a community budgeting pilot in the North West sector. This involves residents in deciding how £120,000 capital expenditure is utilised to repair and refresh the Millennium Space and Bandstand area in Possilpark. This pilot places local residents at the heart of determining the use of resources and introduce an approach to developing inclusive community planned and co-produced services. The Spirit of Trust 2012 awarded £250,000 funding to the Ruchill and Possilpark Thriving Places group for 2015-18. A Spirit of Ruchill and Possilpark Community Panel has been created to oversee the process for allocating the £250,000 funding over the next three years. Training will be provided to this panel and a community budgeting approach will be adopted for the disbursal of the funding over the next three years for sports, culture, volunteering, arts and social activities. To assist Glasgow Community Planning’s Area Partnership members to develop a better understanding of community budgeting, a joint half day workshop was offered to all Community Planning Partnerships members and substitutes in each of the three sectors in 2014. As a follow on to the introductory workshops, a 1-day training course was offered to those workshop participants who wanted to develop the skills needed to adapt these new innovations into a local Area Partnership context and focus on how to develop the skills needed to facilitate community budgeting processes. The Scottish Government have provided financial support to local authorities to access more in depth and tailored in-house training, delivered by the Participatory Budgeting (PB) Unit. Glasgow City Council has secured this match funding to provide a 10 day package of work, looking at embedding citizen led decision making into the fabric of a Glasgow City Council. This package will include; briefings and discussion groups; training sessions; agreeing the best approach to sharing budgets with key stakeholders; and the terms of reference and roles and responsibilities of community stakeholders, officers, CPP colleagues and Elected Members. In addition this package will include support which will evolve based on the needs of GCPP, looking at all aspects of creating a community budget.